New York, US (BBN)-YouTube’s big push to gaming, which it first announced in June, is set to release on Wednesday as a standalone website and will also be available via apps on Android and iOS. YouTube Gaming will compete against Amazon-owned Twitch, which currently leads the game live-streaming business with milestones such as around 2 million concurrent viewers, reports NDTV. The launch of YouTube Gaming came months after Google reportedly failed to acquire Twitch due to potential antitrust concerns. The YouTube Gaming service will offer gamers more than 25,000 game-specific pages to let them quickly find game-related videos and other content. The service will also curate live-streams from thousands of gaming-related channels. 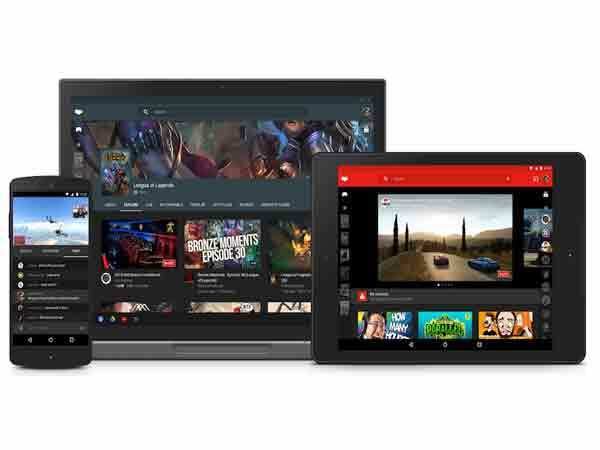 With YouTube Gaming service, the company also wants to make it easier for people to live-stream games on YouTube. The company has launched a new page called Stream, currently in beta, which gives users the option to start streaming at a personal URL. “YouTube gaming brings you closer to the games, gamers, and culture that matter to you,” said Frank Petterson, YouTube engineering manager. DVR Mode will allow gamers to buffer last four hours of a stream and play it at a later time. The new YouTube Gaming service will be launched on Web on YouTube’s new Gaming website and will be available in all countries where YouTube is available. The Android and iOS clients, on the other hand, will be released in the UK and USA on Wednesday, with other countries getting the support soon.